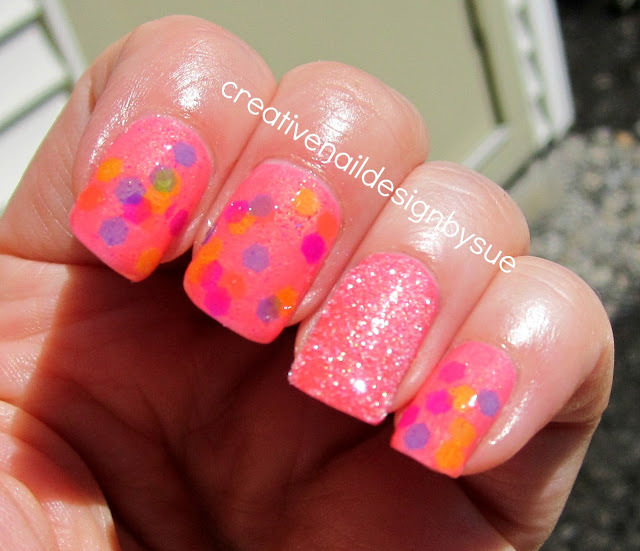 When I first saw gumdrops in the Utopia Polish's Etsy site, I was in awe. It was like flexible gummy glitters. I had to try it out. And in person??? Just like flexible gummy glitters. It is very strange stuff but very cool. 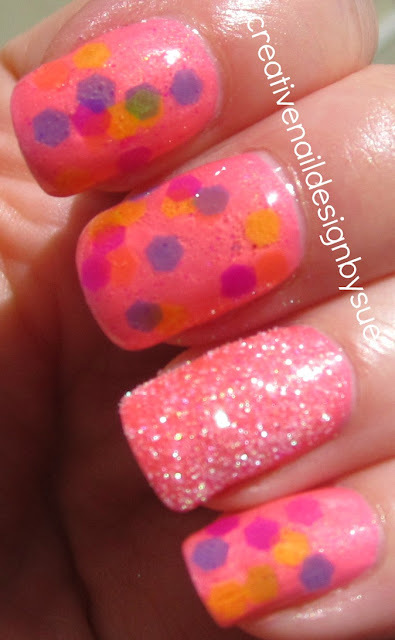 I decided to do a mani with China Glaze's Pink Plumeria as a base. 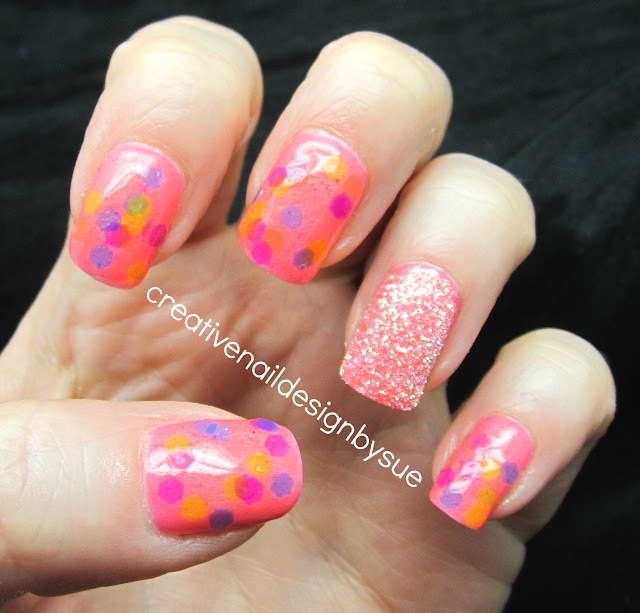 Mainly because I had the idea to do the accent nail like a gumdrop using some white and clear loose glitters. The thing about the glitter is that it has amazing color but is almost translucent at the same time. So, when they overlap, it changes the colors of the glitters. This second pic shows the look in the sunshine. You can see some of the effect of overlap on the index finger. The drawback of Gum Drops.......very hard to get out of the bottle. You must fish for these glitters. Once you got them...they set nice on the nail but it does take some work. The effect though???....incredible!! You can look for Gum Drops on Utopia's Etsy site here. You have to keep a watch for it because it goes fast. This looks like yummy sweets, yum yum yum. very cool! the accent nail was perfect! Woah, that's really cool! Can we get a bottle shot? I will add one in when my computer is not acting up. It really is cool. Very pretty! I have this, but haven't worn it yet. Soon! *Drool* Can't wait to get mine! Summer Fun Challenge-Are We There Yet?